It is a fact that being overweight or obese can be one of the causes of snoring, and it is therefore important to talk about ways to shed some extra weight and to discuss the best fat burning foods. What better way is there than to lose weight while eating. Eating the wrong foods excessively however makes you fat, but there are also several foods out there that actually work for you and help to burn fat. The list of fat burning foods below contain nutrients that increases metabolism and actually help to build muscle and promote fat burning. I learned from experience that changing your diet completely all at once is not a good idea; it might off course be different for you. Without going in to a lot of detail, I will just advice through what I have learned that it is advisable to start small. Introduce a few of the below foods into your diet, and as your body gets use to it, you can introduce more and increase your intake. It is important though, that if you want to lose weight you should eat the foods that increases your metabolism and burns excess calories. Eating right is however only the first step to losing weight; ensure you follow an effective exercise routine. You can also exercise from home, check out How to lose Weight at Home for more. When you were a child you probably heard over and over that you must eat your vegetables because it’s good for you, well, your folks were right, it is good for you and you should ensure that you eat these foods daily. It is not important for me to go into every fruit and vegetables there is, but do note that some vegetables are better for you than others, more on this in future posts. Some vegetables are however emphasized later in this post because of their importance. Most fruits and vegetables have some health advantages and can definitely help you to lose that extra weight. Raw vegetables are an excellent replacement for those unhealthy snacks we like to eat. So, the next time you feel the empty spot in your stomach, or you just need to bite on something, rather take a carrot stick, celery stick or another raw vegetable that you might like. It will fill you more than a biscuit and they are lower in calories. Dip the carrot or celery stick in a little peanut butter if you like, because it turns out that peanut butter is also good for you. It should not be a mystery why most professional chefs only use olive oil in their cooking and even as dressing. The health benefits of using olive oil far surpass other oils and cooking aids. It also assist with weight loss and fat burning as it takes the place of other oils, butter and even salad dressing that could be high in fat content. Olive oil shows great nutritional value because of what it contains and the health benefits include lower cholesterol, can decrease the risk of cancer, can decrease blood pressure, and can reduce levels of obesity and many other benefits, some of which are still being discovered. Introduce olive oil in your cooking and enjoy the results it will show. Drink fat free or low fat milk and eat yoghurt and some cheeses to build strong bones and fire up your weight loss. Just make sure to avoid dairy products right before bedtime, as it can increase snoring. Dairy products are high in calcium and vitamin D which helps to build muscle mass and maintain a healthy metabolism. Yogurt (natural ingredient type which lists “live and active cultures”) contains probiotics, which can help to reduce the amount of fat your body absorbs. Greek yogurt is the best type of yogurt and should be preferred as it contains much more protein than other yogurts, and you can burn more calories. Try to eat soft cheeses such as Gouda. Green tea and especially the ingredients in it have been shown to reduce fat. To elaborate a bit more; there are some experts that believe the ingredient catechins in green tea helps to burn belly fat and burn calories. Green tea contains antioxidants (polyphenols), vitamins, minerals, caffeine and the important catechin tannin which is all good for your health. Green tea is said to lower cholesterol, improve bone density (studies still ongoing) and have many other health benefits. It is recommended to drink it hot rather than cold and you need to drink at least 3 cups a day to get the required benefits. Nuts are in general a health benefit if eaten in moderation; and especially almonds, walnuts and pecans should be added to your diet to have you feeling full and therefore eat less of other foods, and thereby promoting weight loss. They are high in protein, fiber, antioxidants, omega-3, vitamins and minerals. Nuts are good for your heart and can also lower cholesterol levels. I used nuts to lower my cholesterol levels a while back, and can attest to their value. Nuts should be eaten raw, and are great tasting on their own but could also be added to dishes if you prefer, such as in salads. Blueberries are the focus here, but many other berries are good for you as they are high in fiber and water, and could be added to your diet. Blueberries help the body break down fats and sugars and help to lose the fat that the body has built up; they are high in antioxidants, Vitamin C, Vitamin K, Manganese and a source of Dietary Fiber. They are low in Cholesterol, Saturated Fat, and Sodium. Blueberries taste great on their own or together with other foods, such as in a fruit salad. Ensure however that you do not add sugar to them as they already contain sugar, but the good thing is they contain fewer calories as what you might expect. Whole grains help the body to break down fat by burning a lot of calories while eating the whole foods. Important whole grains to mention is; brown rice and whole grain cereal (oats), but can also include whole grain bread, whole wheat pasta and some wheat crackers. Whole grains are high in fiber, manganese and selenium is low in cholesterol, saturated fat and sodium. As in everything already mentioned, eat it in moderation and it can be one of the best fat burning foods. Beans are known to build muscle, control digestion, regulate blood sugar levels and importantly it also helps in burning fat. Beans are high in antioxidants, vitamins, minerals and fiber can lower cholesterol and improve bone density. Beans come in many variants and can be served in many different ways. You can serve it as a side dish, soup, salad and even as a dip. Avocados are a favorite for many diet conscious individuals because they assist in shedding weight. Avocados have a high vitamin content such as; B vitamins, vitamin K, Vitamin C, Vitamin E and many more. They are high in fiber, potassium and antioxidants, can lower cholesterol, are good for your heart and may even help to prevent cancer; studies have shown. Avocados may have high fat content, but that does not mean it is bad for you, in fact some fats in foods are actually good for you (monounsaturated fatty acids) as it can help you lose the fat you already have, if eaten in moderation. Avocados can be made into delicious guacamole, can be eaten on sandwiches, in salads and some other ways. It is being proven by several studies that grapefruit help you lose weight, it lowers insulin, regulates blood sugar and metabolism. The health benefits should be enough of a reason to put this item on your next shopping list, alternatively; grapefruit juice can also be chosen. The health benefits include; can lower cholesterol, can ensure a healthy skin and can boost metabolism. Grapefruit is a source of potassium, pectin, other nutrients, fiber and vitamin C.
Grapefruit helps you lose weight by making you feel full as well as consuming fewer calories. If you eat half a grapefruit or drink a glass of grapefruit juice just before a meal, it will fill you, thereby ensuring that you eat fewer calories during that meal. Moderation is important in all of the above foods, and cannot be over emphasized, so ensure that you eat smaller portions to ensure you get the best results of the above fat burning foods. The list above is not the only foods available that can assist in fat burning, but it is some of the most important ones, and additionally; are the food that I currently eat to control my weight. Fresh ingredients should be bought whenever possible, as they are the healthiest form of these foods. Most of the above foods will lose some of their nutritional and antioxidant value and fat burning power the more processed they become. Also remember that prepackaged food has been heavily processed and have therefore lost most of their nutritional value. So start buying the foods that assist your body, and not the ones that works against your body. Get the food that could make you slim and trim and which will then help you to stop snoring the natural way. The above food recommendations are not intended as a substitute for a medical examination, it is always beneficial to consult your doctor to find the best solution for your individual needs. While the above foods do have health benefits, it is important to be aware that people are different and not all foods will work for everybody, as there might be intolerance to certain foods. I hope you found the above explanation of my best fat burning foods helpful. Is there something you eat that helps to control your weight? Please let me know in the comments area, if you don’t mind. 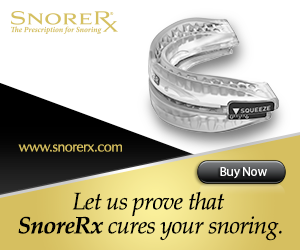 Get healthy and take a step to get closer to solving your snoring problem.